A student-produced documentary about slain United Nations armed group expert and peacebuilder MJ Sharp ‘05 will premiere at Eastern Mennonite University in April. “No Longer Theory” focuses on Sharp and his coworker Zaida Catalán, who were murdered while working in the Democratic Republic of the Congo (DRC) in 2017. The 50-minute documentary will have a pre-premier screening during the Academic and Creative Excellence Festival on Wednesday, April 17, at 4 p.m. in EMU’s Mainstage Theater. The official premiere will be on Friday, May 3 at 7 p.m., also in MainStage Theater. Donate to the MJ Sharp Scholarship via the MJ Dream Hike. 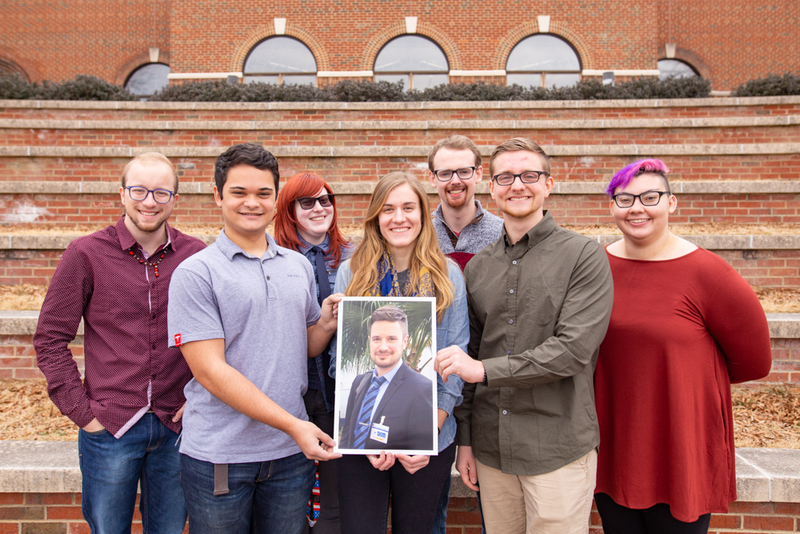 The five co-producers, all senior digital media majors, include Toni Doss, Christy Kauffman, Missy Muterspaugh, Kieran O’Leary and Riley Swartzendruber. Seniors Luke Mullet composed the music and Paul Johnson created animations and visual effects. The title refers to MJ’s father’s observation that it should not be surprising when peacebuilders are killed in their work. The murder of MJ proved that this isn’t just a hypothetical danger; it’s a real possibility. Hikers summitted Kilimanjaro on March 12, the second anniversary of Sharp’s death. Visit www.emu.edu/dream-hike to learn more and donate to the Michael J. Sharp Endowed Peace and Justice Scholarship. The “journey” metaphor has become a literal part of how the EMU community is responding to Sharp’s legacy. 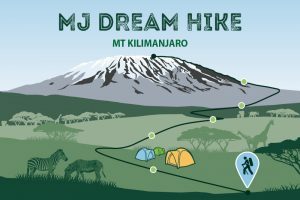 In March, Kauffman and Swartzendruber were the MJ Dream Hike – to summit Kilimanjaro in Tanzania – which raised funds for the Michael J. Sharp Endowed Peace and Justice Scholarship. The fund provides support for a graduate student enrolled at EMU’s Center for Justice and Peacebuilding, with priority given to those from the DRC. The trek has gained the support of former United Nations Ambassador Nikki Haley, and Nobel laureates Dr. Dennis Mukwege and Leymah Gbowee, as well as activist and actor Jane Fonda, among others. “I have ceased to be surprised by the power of MJ’s story to move and inspire people,” said John Sharp, MJ’s father. David M. Nyiringabo, the first beneficiary of the scholarship fund, said that although he never met Sharp, his life and passion are a challenge to the people of the DRC. It was finished through independent studies that, though they lasted into the spring 2019 semester, continued to hold a sense of urgency for the students. The five co-producers were each involved in nearly every aspect of making the documentary over the course of its development, with two additional students assuming more focused roles. That story has always felt present for Kauffman, who was a student in a Hesston College class on peace and justice taught by MJ’s father when Sharp disappeared.